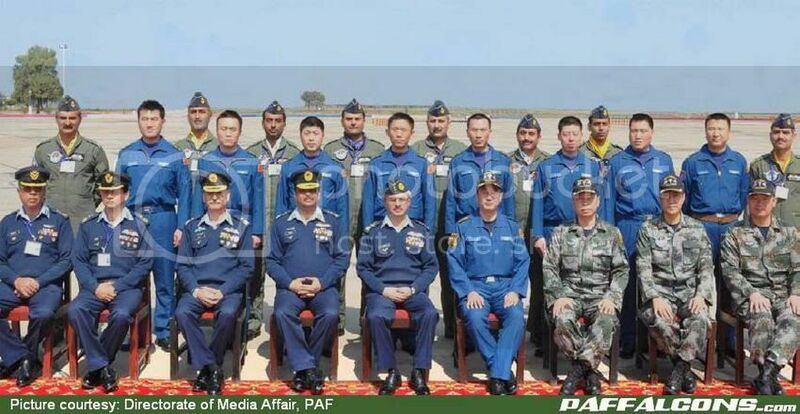 ISLAMABAD: Pakistan Air Force (PAF) and Chinese Air Force (PLAAF) are undertaking a joint Air Exercise these days in Pakistan code-named "Shaheen-1". For the purpose, a contingent of Chinese PLA Air Force comprising combat aircraft, pilots and technicians have arrived at an operational Base of PAF. The exercise has been designed to share mutual experiences, hone professional skills and accrue maximum benefits from the expertise of the two Air Forces. Pakistan and China have historically enjoyed strong bilateral friendly relations. This is the first time ever that a contingent of Chinese Air Force has been participating in an operational exercise in Pakistan. This visit coincides with the celebration of year 2011 as the "Year of Pakistan-China Friendship". PAF and PLAAF pilots during Exercise "Shaheen-1" at an Operational PAF Base on March 11, 2011.